Pekka Huhtaniemi, the Finnish Ambassador to the UK, has been nominated for the Grassroot Diplomat Initiative Awards for his efforts to export Finnish theatre to the UK. 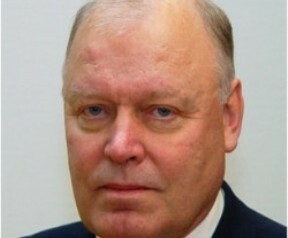 Ambassador Huhtaniemi helped to set up the From-Start-to-Finnish campaign in April 2012. The campaign enables Finnish theatre to gain more exposure to British audiences. The Grassroot Diplomat Initiative Awards will be celebrating the achievements of politicians, like Pekka Huhtaniemi, who have made a positive impact on society. Grassroot Diplomat, a diplomatic consultancy, aims to bridge the gap between diplomats, politicians and the public. By enabling civil society better communications with high-profile diplomats and politicians, Grassroot Diplomat ensures that an effective and engaging relationship between society, politicians and diplomats is maintained. From-Start-to-Finnish is a theatrical exchange programme between the UK based Pleasance Theatre and ACE production in Finland. From-Start-to-Finnish aims to expose UK audiences to Finnish theatre and export British theatre to Finnish audiences. Ambassador Huhtaniemi has stated that the purpose of the From-Start-to-Finnish campaign is to build stronger ties between Finnish and British theatre, and to create a lasting union between Finnish and British theatre. The campaign has so far been successful in spreading Finnish theatre in the UK. In April 2012 the Ryhmäteatteri independent theatre group performed their adaptation of Nikolai Gogol’s The Overcoat. In August 2012 the Edinburgh Fringe Festival also held a showcase of Finnish theatre; another showcase of Finnish theatre will be performed during the 2013 Festival. Nominated under the Social Driver category for the awards, Ambassador Huhtaniemi shows that he is passionate about forging new relationships between the two nations. Over 50 high-level government officials have been nominated for the Initiative Awards. Join Pekka Huhtaniemi and other government nominees at the Vincent Rooms, Westminster with an evening performance led by Euro-Vision Song Contest artist, Imaani. For ticket information, please visit: www.grassrootdiplomat.org/awards. Early Bird Ticket sale ends November 2012.